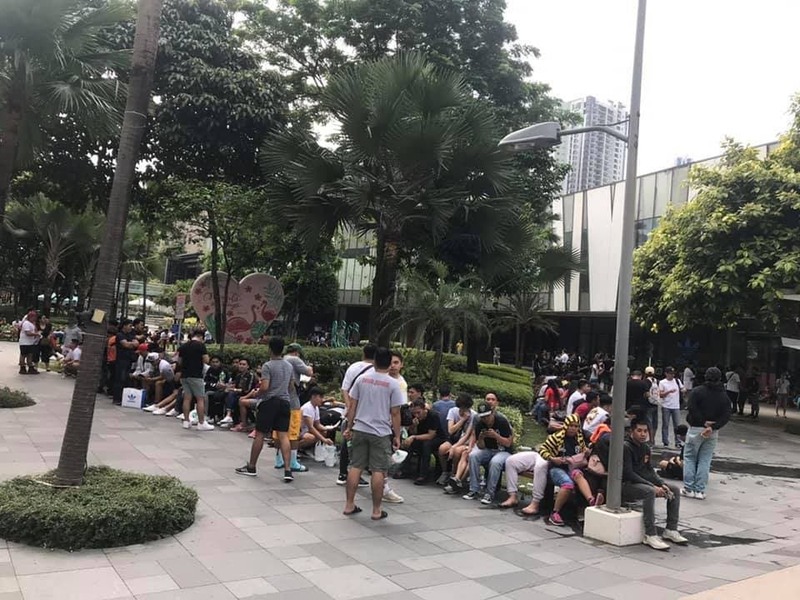 The post So This is What the Line for the YEEZY Boost 350 V2 Looked Like This Morning appeared first on When In Manila. Seeing these pictures sent to us by Marcus Chu really brings back memories of when I was a young teenager. See, the last time I stood in line for something before the store even opened was when I stood outside of Powerbooks waiting for the release of ‘Harry Potter and the Goblet of Fire’. I was 13. I haven’t looked forward to anything that much in a while, so seeing this really makes me wish I had something I could look forward the way that I did then. Marcus shares that these photos were taken at 8:30AM this morning. That’s right. 8:30 in the morning. 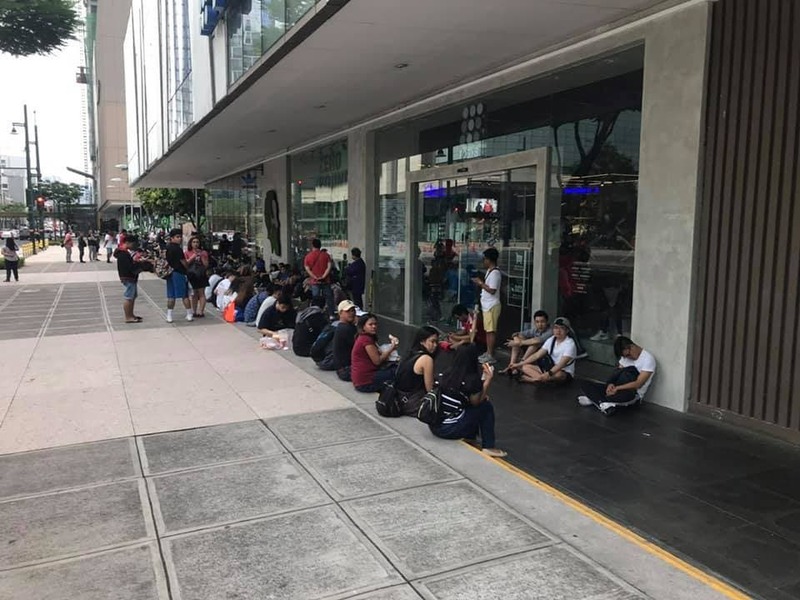 The adidas store in BGC is clearly still closed in the photos and yet a looooong line of people was already there, presumably waiting for the stores to open so they can get their hands on the adidas YEEZY Boost 350 V2, which was set to drop today. 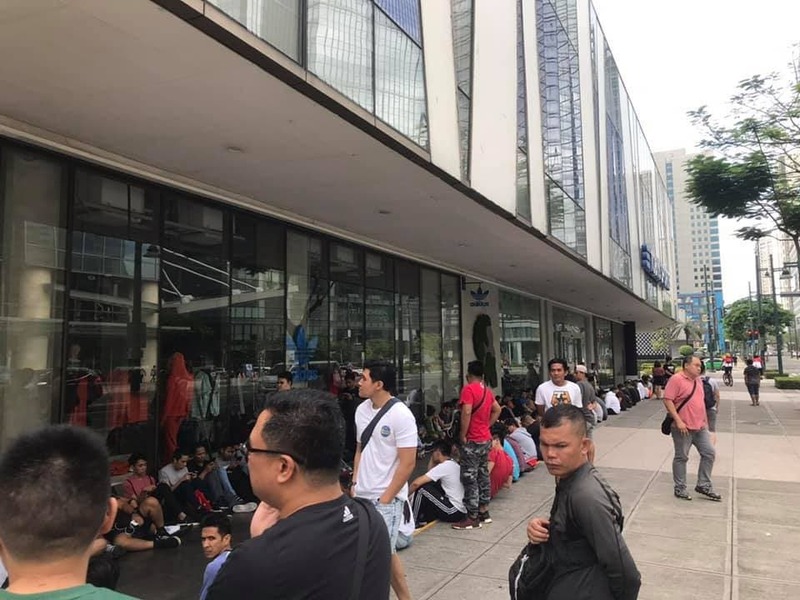 According to a Facebook post by adidas Philippines, the official queue for the launch started at 6AM. Marcus admits that he wasn’t actually sure what the line was for at first. He just spotted it when he was passing by High Street and his friend explained that it was the line for the YEEZY. The release of the YEEZY Boost 350 V2 was announced a few days ago with the retail price being $220 (or around Php11,624). Three colorways were announced, and the one released here is the ‘Hyperspace’ version. The launched happened at adidas Originals Neighborhood stores in Bonifacio High Street and Uptown Mall (also in BGC). 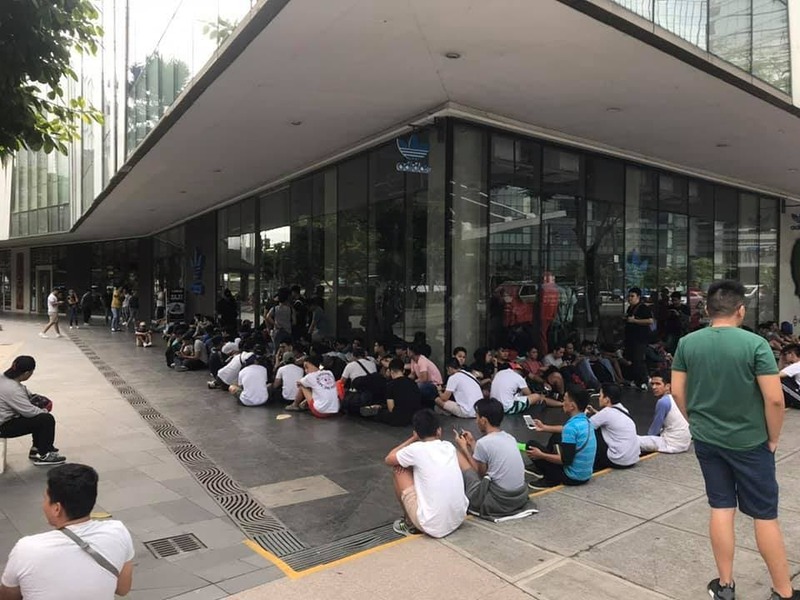 In case you’re interested in knowing how shoe launches like this work, basically each customer in line is only allowed to buy one pair of the shoes that are being released, and that pair has to fit the person that is in line for it. You can’t try them on there, either. You are, of course, free to line up again once you buy a pair; but with a line this long, I’m not sure you’d want to. You will also need to present a valid ID upon purchase. Have you ever stood in line for shoes before? Would love to hear your story, especially if you were in line for this today! Message me on Facebook at When in Manila Angeline!